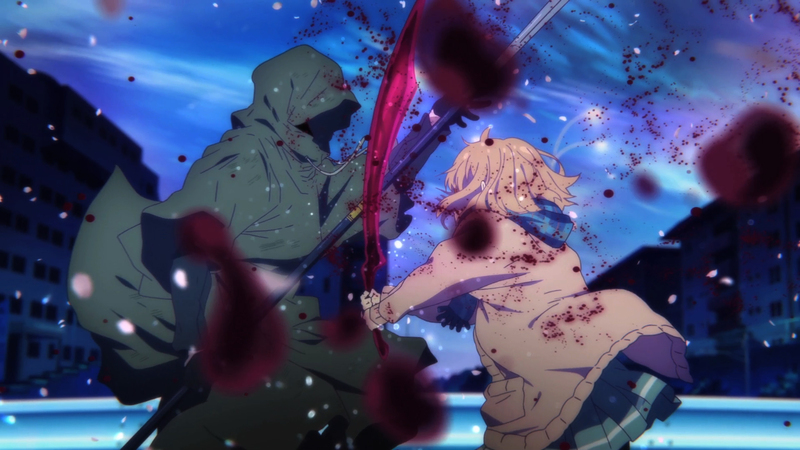 I reviewed the Beyond the Boundary series back in January 2016 and called it a dangerous urban fantasy. It’s 18 months later and I remember it fondly – more fondly than I come across in that early review. On reflection I think that’s because the characters were so strong. 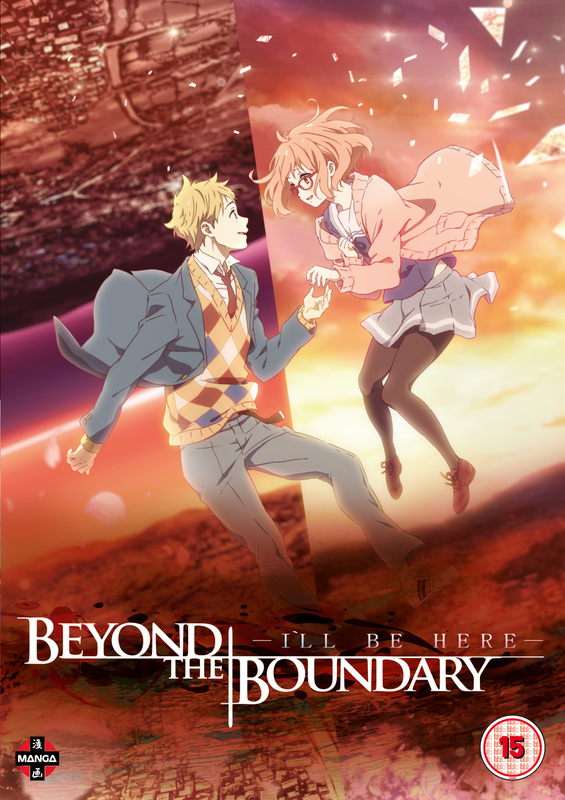 As it happens I also reflected in the review of the Beyond the Boundary series that it rather feels there could be a sequel but that it might be awkward. 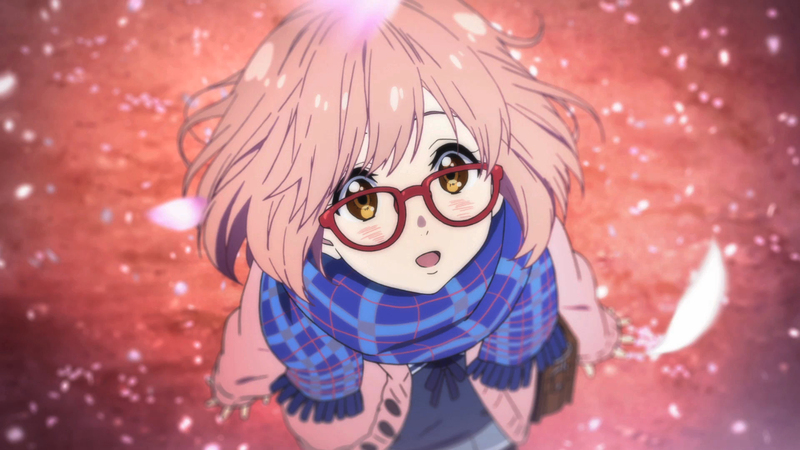 Step in the Beyond the Boundary Movie: I’ll be Here – Past Chapter/Future Arc as the hero. The blu-ray comes in two parts; past and future. The past is a recap of the whole previous series and uses some expert cutting. Very quickly we re-introduce the characters, but linger on that powerful opening, and move to the last episodes rich in both emotional drama and spirit warrior conflict. This was brilliant if, like me, it’s been over a year since you saw the series. I don’t think, however, it’s better than watching the series. If you have the chance watch the series first. If you don’t have the chance, or the blu-ray owner really wants to watch, then the recap will bring you up to speed for the second half. The second half, as you’d expect, is the future. It picks up almost straight away and starts to deal with Akihito and Mirai. Akihito tries to protect Mirai from the dangerous world she no longer needs to be part of… but it’s never that easy, is it? A new and powerful threat emerges to challenge the spirit warriors and it seems focused squarely on Mirai. There really are bucket loads of tears in this anime. I’ve seen some shows where the characters try and the audience are miles away from caring about it. That’s not the case here. Akihito and Mirai have both been so selfless and both worked so hard to help each other. Their friends are amazing. These people deserve a break. 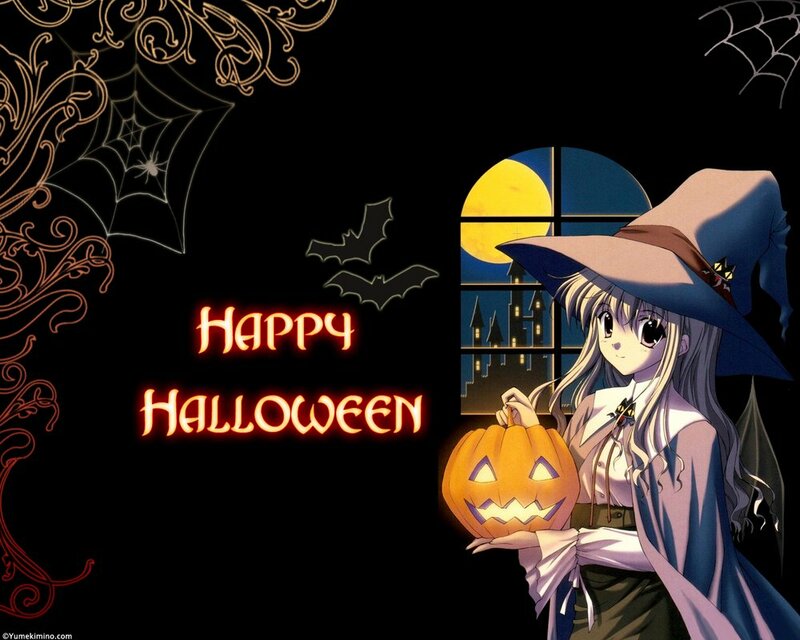 They don’t deserve curses, doomed fates and a horde of supernatural powers determined to ruin their lives. The trials and tribulations faced by our young heroes in I’ll Be Here – Past Chapter/Future Arc are effective because we care about these characters. They’re plucky and determined. Even at their most morose they’re nothing like, say, whiny Shinji from Neon Genesis Evangelion. Equally, they’re determined and stubborn but not to a cartoonish level like, say, Naruto. They feel so much more real than that. That said, I wanted a good chunk of action from Beyond the Boundary and not just heartstrings wrestling. Whereas the movie tips the scales from action to emotion, compared to the series, the action elements are still there. Just. The melee encounters with the villains of the piece are quick and brutal until we get to the final conflict. They pass muster. At this point we’ve seen the characters powers so there aren’t any surprises here but there’s enough to remind you what we’re really with. This is a gorgeously animated film. There are touches of surreal at time – we’re dealing with spirits, after all – and they work wonderfully well. Overall? I’d recommend the movie… although I see it more as a series summary and then an extended special that helps move the resolution on. This addition to the title helps raise the series from ‘one to be aware of’ to ‘one to try and watch’ in my advice chart. My copy of Beyond the Boundary the Movie: I’ll Be Here – Past Chapter / Future Arc was provided for review. It’s available from October 16th in the UK from Amazon and other retailers via Manga UK.